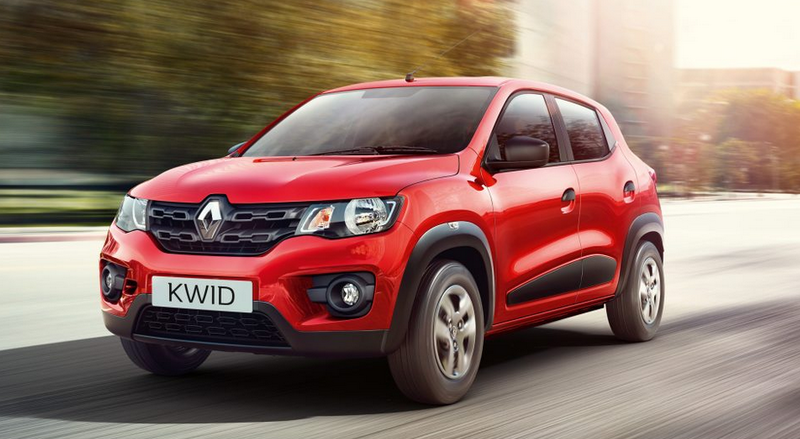 Renault Kwid launched at a starting price tag of INR 2.57 Lakhs in India. The crossover look alike hatchback will compete with the segment leader Maruti Alto, Nissan owned Datsun go and Hyundai EON. The French automobile manufacturer claims 98% localisation for the Kwid hatchback. Based on the global A segment (CMF-A) platform the hatchback is claimed to be 19% cheaper to maintain as compared to the nearest competitor. Renault Kwid is powered by a 799 CC 3 cylinder petrol engine, capable of 54 BHP power and 72 NM of torque. Mated to a 5 speed manual transmission. The Kwid hatchback is the most fuel efficient Petrol hatchback in India capable of a jaw dropping 25.71 Km/l (ARAI Certified fuel efficiency figure). Technically the Kwid hatch measure 3679 mm in length, 1579 mm width and 2423 mm of wheel base with 180 mm ground clearance and a 300 liter boot. . Light weight construction with an all aluminum engine leads to an overall weight of just 660 kg.